Scientists have spent decades figuring out what is causing global warming. They've looked at the natural cycles and events that are known to influence climate. But the amount and pattern of warming that's been measured can't be explained by these factors alone. 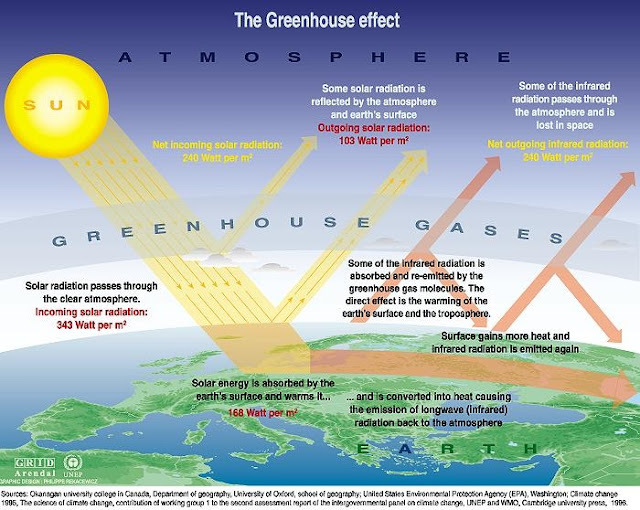 The only way to explain the pattern is to include the effect of greenhouse gases (GHGs) emitted by humans. To bring all this information together, the United Nations formed a group of scientists called the Intergovernmental Panel on Climate Change, or IPCC. Each report represents a consensus, or agreement, among hundreds of leading scientists. One of the first things scientists learned is that there are several greenhouse gases responsible for warming, and humans emit them in a variety of ways. The gas responsible for the most warming is carbon dioxide, also called CO2. Other contributors include methane released from landfills and agriculture (especially from the digestive systems of grazing animals), nitrous oxide from fertilizers, gases used for refrigeration and industrial processes, and the loss of forests that would otherwise store CO2. Different greenhouse gases have very different heat-trapping abilities. A molecule of methane produces more than 20 times the warming of a molecule of CO2. Other gases, such as chlorofluorocarbons (which have been banned in much of the world because they also degrade the ozone layer), have heat-trapping potential thousands of times greater than CO2. But because their concentrations are much lower than CO2, none of these gases adds as much warmth to the atmosphere as CO2 does. In order to understand the effects of all the gases together, scientists tend to talk about all greenhouse gases in terms of the equivalent amount of CO2.